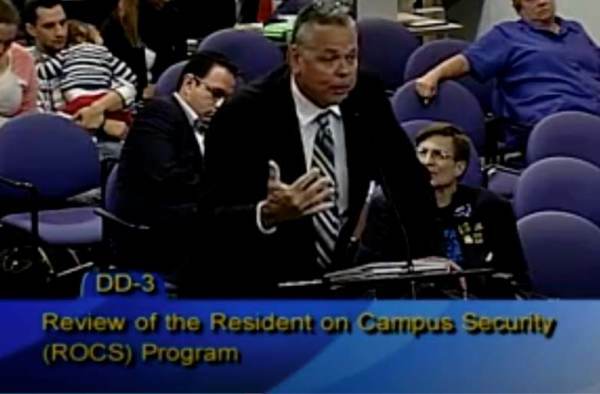 Akin to his boss, Broward County Sheriff Scott Israel, Deputy Scot Peterson is refusing to take responsibility for failing to confront gunman Nikolas Cruz as he shot dead 17 people at Marjory Stoneman Douglas High School in Parkland, Florida. The deputy insisted he isn’t a coward and that he didn’t initially believe that gunfire was happening inside the building, according to local media reports. “The school resource officer was behind a stairwell wall, just standing there, and he had his gun drawn, and he was just pointing it at the building,” Huff said told WSVN. “He was pointing his gun at nothing. He was pointing his gun just at the building with kids in it, and he was just talking on the radio, and he never did anything for four minutes,” Huff added.